In 2001, Rob Cannistra, then a technical services manager at vLink Solutions, was scheduled to work on a project in the basement of the World Trade Center the morning of 9/11, but he was called away at the last minute. The near miss sent Cannistra looking for a new career path. He landed at Marist College where he sniffed out an interest in SDN and secured a research grant from IBM. 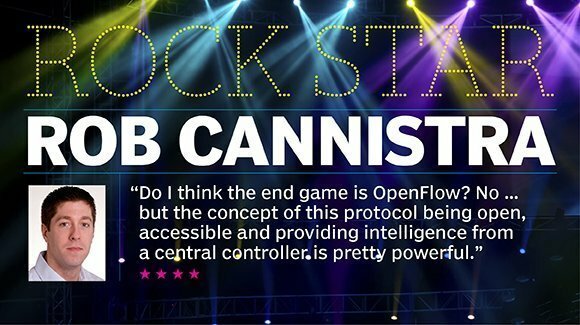 Since then Cannistra has assembled a team of student researchers and an SDN lab that has tested the OpenFlow Floodlight controller, as well as the use of SDN in optical networks for applications like automated bandwidth provisioning. Now Cannistra and his students are expanding the SDN lab for more SDN product testing and development. The team is also collaborating with other universities to expand SDN research. Take a look at Cannistra's journey to Marist and how he's been fundamental in creating an SDN lab and motivating students.